Travel with us on this truly unique seven day tour to see the places you may only have read about, and we will show you parts of England that you would never have imagined to exist. This is a private, Chauffeur-driven tour for up to three guests. We will take pride in showing you the best of Britain's heritage and wonderful countryside: From the rugged natural beauty of Wordsworth's Lake District on our West coast, over the Pennine Hills and down through James Herriot's glorious Yorkshire Dales, to the historic Roman city of York and the magnificent York Minster. 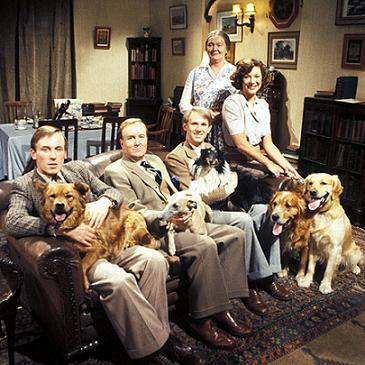 Part of the Yorkshire Dales are known as 'Herriot Country' due to the books of author James Herriot, later portrayed by the TV series 'All Creatures Great and Small'. His vivid descriptions bring to life the wonderful atmosphere of the Dales. Experience the places that inspired James Herriot to write about. Visit the sites used in the filming of All Creatures Great And Small. Stay on the types of farms that he visited. Relax in the comfort of your personal chauffer driven Bentley. Tour the country lanes of the Lakes and Dales in our luxury Range Rover. 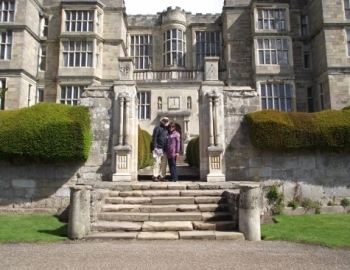 Visit some of Englands finest country estates, castles and gardens. Explore picturesque villages and mix with local people on market day. 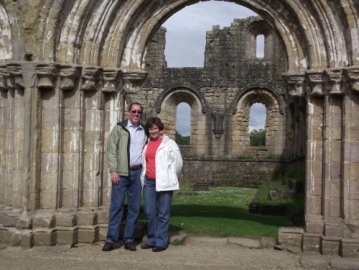 Walk amongst the remains of ancient monasteries. 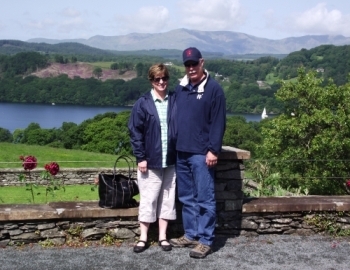 Spend a day in the Lake District, visit Wordsworth's Dove Cottage. Discover the Ancient City of York. Stay if you choose, in one of Yorkshires Luxury Country Houses. We will provide an up to date itinerary of local events for you to choose from. It will be your choice how you wish to spend each day at whatever pace you prefer. 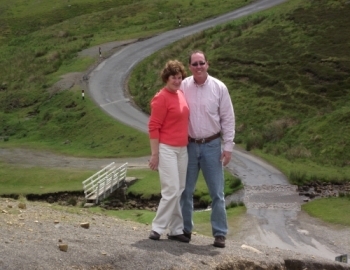 Herriot-Country Tours are the UK's leading tour operator for James Herriots' Yorkshire Dales. "All my life I had wanted to experience the Yorkshire Dales of James Herriot as seen in the television series ‘All Creatures Great And Small’. I was transported there by this magical tour. The accommodation and hospitality were excellent, the local people welcoming and the itinerary arranged by our tour guide 'Doug' was varied and wonderfully stimulating. Great value and thoroughly interesting." Jamie & Ivy Tean-Cant, Singapore. "We had such a wonderful tour with you! 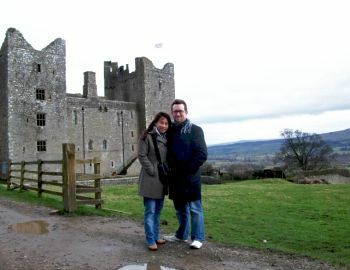 The universe opened up to give us some lovely memories of the castles, abbeys, villages and the beautiful Dales. 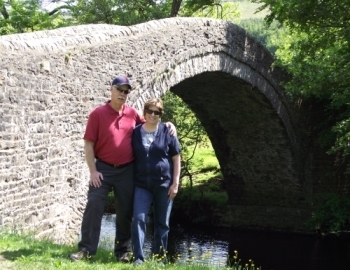 We could not have done the same trip on our own, we appreciated the knowledge you had of the Dales, and the connections you made for us to make sure we thoroughly enjoyed each day. Our visit to the Dales was remarkable! Thank you for making our time with you a grand luxury tour!" 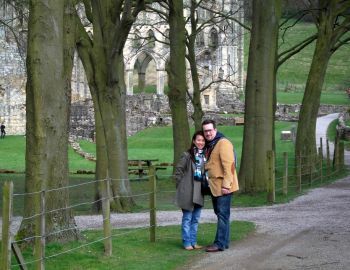 Melanie & Jeoff, Wisconsin, U.S.A.
"We enjoyed your knowledge and feeling for the dramatic and spectacular Yorkshire countryside. Staying at the Grand Country House was amazing; with it’s incredible history and suit of armour on the stairs, it was like being on a film set but this was the real thing! Thanks for a wonderful time." Jack & Mercedes, California, U.S.A.
"Thanks for making our trip to England so wonderful. Everything about the Herriot-Country Tour was just perfect. We enjoyed each day and really appreciate all of the effort you made to personalize our outings. The experience was so much more than we expected and so different from what one would expect from a tour-company type trip. 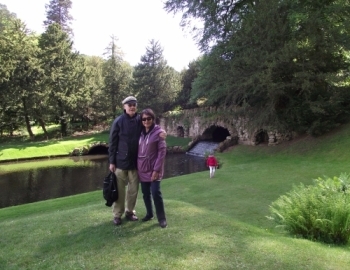 We’ve come away with more of an appreciation for the Yorkshire Dales than I think we could have possibly gotten any other way, Thank you again for all you did to make our time there so special." Cindy & Bob, Florida, U.S.A.